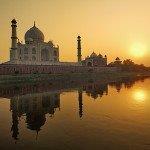 Cheap return flights from Europe to New Delhi, India from £281 or €289! Non-stop flights from Frankfurt to Changsha, China from €423! Ukraine International Airlines offer budget solution from selected European markets to New Delhi in India for next travel period! This time you will find the cheapest flights when departing from London, Budapest, Milan, Paris, Athens, Vilnius, Riga or Prague. Flights may require longer layover in Kiev on your way. At this moment the lowest priced tickets are available already for £281 or €289! Fare is including all taxes and fees, onboard meals and checked luggage. If you do not mind the long stop on your way (on the other hand this is great opportunity for short side trip to explore another city) grab this solution with UIA! Ukraine International Airlines offer the cheapest flights departing to New Delhi mainly in March, May or September 2019. Max stay 12 months and no further restrictions. Booking discounted flights is possible till end of the month or until the cheapest seats last..Travel dates vary by each route. If interested in this deal we recommend to check all possible travel dates at website of the airlines then book it the way you prefer..
Once you arrive to New Delhi you should have no problem to find cheap hotel room. (You can head to Main Bazaar street in Pahar Ganj area). If you still want to be on a safe side and book your accommodation in advance we recommend Booking.com. also consider promo code that offers Hotelopia or Hotels.com. Booking sample of cheap return flights from Europe to New Delhi, India from £281 or €289! In this case you would depart from Budapest to India on 23rd of March. Your return flight from this Asian country back to Europe would take place on Saturday, 6th of April 2019.